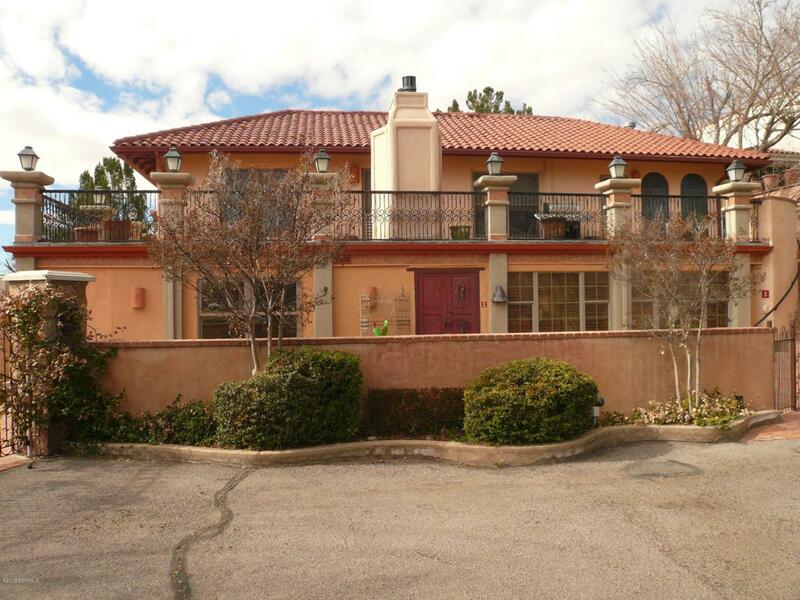 It would be easy to settle into this beautifully renovated and updated one bedroom condo just a short distance to Las Cruces's up and coming Downtown. The complex consist of only 8 units with 'Old World' style architecture. Each unit is individually & uniquely designed with their own courtyard entry (no two units are alike). Enter through the custom wrought iron gates onto a spacious inlaid brick courtyard w/ kiva fireplace. This unit boast custom Kolwalski cabinetry, Marvin windows and doors and granite counters in both the kitchen and bedroom and 3 mini split Mitsubishi units for cooling, electric baseboard in lvg room. Custom kitchen has a Jenn-Air gas stove and the cabinetry has pull-out drawers. Tile floors thru-out. Master bedroom has custom cabinetry with granite and egress to the outside courtyard. This is truly a unique condo village...''one of a kind''...!